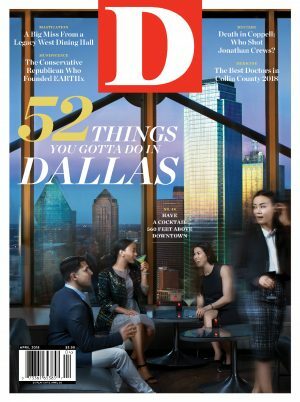 D Magazine was created to serve the leadership class of Dallas by giving authoritative recommendations, telling stories that connect people to their community, and providing information to help them make the most out of living in Dallas/Fort Worth. With an average household income of $324,963, D Magazine’s audience is affluent, educated and highly influential. Parent Company: D Magazine Partners, Inc.